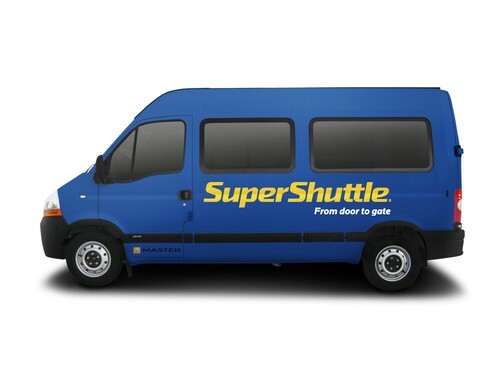 SuperShuttle, a shared ride from door to gate, will be launched in Stockholm on February 1. It is a cheaper and more sustainable alternative to taxi if you are more than one and is going to/from the suburbs in Stockholm to Stockholm-Arlanda Airport. A single fair to or from Kista costs 220 SEK. Stockholm Waterfront Congress Centre is not only cleverly placed - its also cleverly built and cleverly environmental. It's more than twice as energy efficient as the EU standard "Green Building"
The glass facades are 1 040 m2 solar collectors that on average gather 1 MW of heat energy on a daily basis. this is equivalent to 90 000 normal low energy bulbs. The building is cooled by water drawn from the lake, stored in 250 tonne of ice tanks in the basement. About 20 000 m2 of material has been reused from the building brevisously occupying the site. 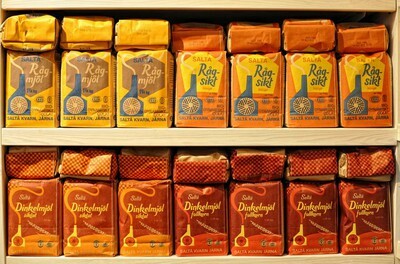 Saltå Kvarn is well known for their organic products in nice retro looking packages. Saltå Kvarn, with headoffice in the Stockholm county, is opening their first store with approximately 200 organic products for sale on the island of Södermalm in Stockholm. 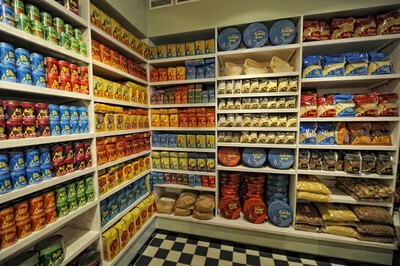 In addition to Saltå Kvarns approximately packaged products, bread and baking will be vital part of the store concept. Stockholm City is best when it comes to sustainable motoring. Its the municipality's efforts in purchase regulations, preseparation of garbage, clean vehicles to the public and the accessibility of renewable fuels that puts Stockholm - the first Green Capital of Europe in 2010 - in the top position in Sweden. The municipality ranking was done by "Gröna Bilister" with support of Trafikverket. Mosebacke hostel is a new hostel located in the Södermalm district in Stockholm. With about a minutes walk from the busy streets of Södermalm, you can find anything within walking distance. The hostel has incorporated eco-friendly thinking in all parts of their existance. For example, the linen are made of organically grown cotton, we use eco-friendly alternatives where we can and we only drive hybrid cars etcetera etcetera. The hostel offers rooms for 1 person up to 7 person doorms and rooms suited for wheelchairs. Stockholm is the first Green Capital in 2010 and the May issue of our Event Guide Whats On lists a number of ecologic cafees. Rosendals garden café on the lush island of Djurgården offers salads, soups, sandwiches and baked goods with homemade taste. The Café uses organic and biodynamic ingredients. They use seasonal ingredients from their own garden and baked goods are made in their own bakery. Fåfängan open-air café is framed by form-cut basswood trees offering one of Stockholm's most beautiful views of the inlet, Djurgården island and the old town Gamla Stan. Brunnsviken Trädgård & Café offers a unique green house setting and outdoor garden service. All lunches and baked goods are home made and with organic ingredients. Slottsträdgården Ulriksdal has a café in the heart of the Ulriksdal Palace and garden, with a view of the season's crops. Sweet breads, hearty sandwiches and vegetarian dishes with ingredients from the surrounding garden. Prins Eugenes Waldemarsuddde is situated on Djurgården. Take a coffeebreak in "the Prince's kitchen". Seasonal outdoor serice int the beautiful park with a waterview. Stockholm has been awarded the First European Green Capital and our event publication Whats On lists green activities in the May issue. Royal National City Park is Stockholm's green oasis, a stone throw from downtown. Here you can roam the woods, swim from the rocks and visit palaces and museums. The park stretches from Ulriksdal in the north to Djurgården and Fjäderholmarna in the south. Green Tours - Stockholm's nature guides come from the local chapter of the Swedish Society for Nature Conservation and they arrange guided walking tours every weekend year-round. Engaging and inspiring guides pique your interest and understanding of our fantastic naturee that is right around the corner. They can also give you tips on more than 100 areas you can visit on your own. Stockholm's closest archipelago islands are Fjäderholmarna. Clikmb aboard a boat in town and take a ride out to Fjäderholmarna. Walking paths, playgrounds, artisans, exhibitions, restaurants and cafees. Those who dare can take their first dip of the year in the sea. On March 23, 2010, Stockholm-Arlanda Airport will implement changes in its system for calling taxis in order to give priority to ecotaxis and reduce the number of taxis that arrive at the airport with no fares. The new rules are expected to gradually increase the number of ecotaxis at the airport and make it easier for travellers to select a taxi company. Stockholm-Arlanda is engaged in intensive efforts to minimise the environmental impact of airport operations, which also include traffic to and from the airport. One step in this work is to have 100 per cent of all taxis at the airport be ecotaxis by July 1, 2011. Stockholm-Arlanda Airport is the first airport in the world to be accredited the highest level in a European programme that grades the climate change impact of airports. “Stockholm-Arlanda is already seen as a role model by many international analysts in terms of climate-changing emissions, and this accreditation provides further evidence that the work we’re putting into this also yields results,” says Kerstin Lindberg Göransson, Managing Director of Stockholm-Arlanda Airport. The organisations behind the programme, called Airport Carbon Accreditation, are ACI, Airport Council International Europe, which is an association of 440 airports in Europe, and WSP Environmental, which is a global technology consultancy providing analysis and other services for sustainable social development. The programme follows the Greenhouse Gas Protocol, an international standard developed by the World Resources Institute (WRI). There are four different levels, the highest being 3+, which is the one Stockholm-Arlanda has now been accredited. This level means that the airport is entirely climate-neutral with respect to carbon dioxide emissions from its own activities. World Water Week opened today with discussions on water's role in peace, economic development, and public health. Most of the more than 2000 participants now gathered in Stockholm were on hand to hear leaders in science, government, and civil society challenge the world to think in new ways about the role of water in peace, economic development, and public health. The highlight of the week is the Stockholm Water Prize award. Sheraton Stockholm has been labelled with the Swedish sustainability label "Svanen". [link in swedish] The five star hotel has 465 rooms centrally located in Stockholm City. The City of Stockholm will be the first European environmental Capital, in 2010. The European Green Capital award was announced by the European commission on Monday evening. The award is given to a city that is showing the way to an environmental friendly city life and can show consequeant results of environmental imporvement and sustainability. Stockholm is the first City in Europe to recieve the award. The city has an integrated administration system that garantees that the environmental aspects are taken into consideration in budget, operation, rapports and supervision. The City has reduced carbon discharge with 25 percent per inhabitant since 1990. The City have a goal to be free of fossile fuel in 2050. 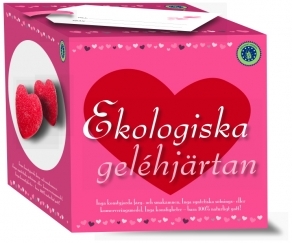 Candy made of real raspberries or strawberries, with no added artificial colors. Does that sound like a great idéa or just plain boring. Well, anyways. 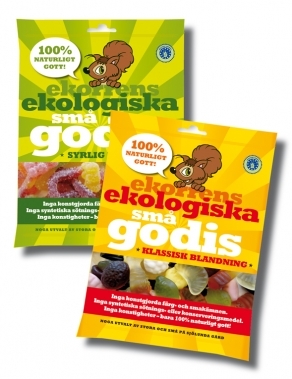 Sjölunda gård produces ecological candy; so far jellyhearts, classical jelly blend or a sour blend. They use ecologic unrefined sugar etcetera. 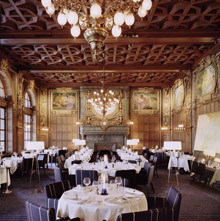 , one of Stockholms Michelin star restaurants, have been certified with the Swedish Svanen eco lable. Its the first restaurant in Scandinavia that recieves the Svanen lable. 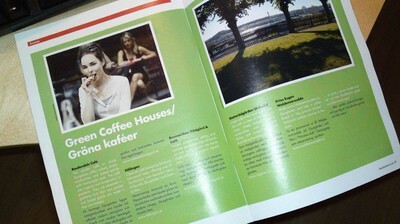 The optimist is a magazine on ecology and ecologic travel and they have discovered the stockholmtown-blog. I must say that Im proud. "Stockholm is living up to its 'eco-cool' reputation by combining 21st century sustainable lifestyle concept with the traditional Swedish 'allemansrätten' or 'freedom of public access' philosophy. Matdistriktet (food district) is the name of a new ecologic grocery store in the city centre area on Rådmansgatan 57. The food sold at Matdistriktet is ecologic, locally produced from small scale farmers. 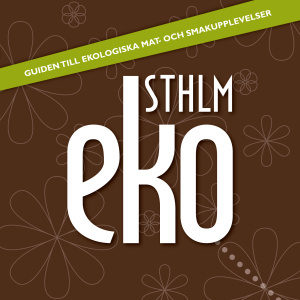 The new Ekosthlm guide to ecologic cafees and shopping in Stockholm have just been updated. Even though its in swedish its a great researchtool. You find restaurants such as gourmet chef Mathias Dahlgrens top of the line restaurant as well as Babajan, the lunchrestaurant at Etnographic museum, and the well known Rosendals Trädgårdskafé in the selection.